It was all explained to me a decade ago by well-known SBSer and SMB Nation member Bob Hood from Chicago, IL. Loosely translated he indicated many a wise person has gone to their grave trying to “beat the street” in investor parlance. Yet it seems that Harrisburg, PA-based D&H Distributing has done exactly that according to its most recent quarterly report. Because D&H Distributing in privately held, it doesn’t file standard reports like a 10K statement so it’s a bit difficult to confirm its growth; it doesn’t report revenues or earnings. But taken at face value, here is what I know about D&H’s success in beating the street. Gartner reports that server shipments grew 2.4 percent in the second quarter of 2017 after declining 4.2 percent in the first quarter of 2017. IDG reported similar numbers. If you look closely above, D&H is reporting that Server Products are up 36%, clearly a case of beating the street. But hailing from Seattle and the home of Microsoft Servers, forgive me for being a bit skeptical. I dug a bit deeper. First there are two different measurements. Gartner and IDC are measuring server shipments. D&H is measuring the category of server products. So the growth rates don’t align (not apples to apples). D&H offered the following as sources of server-side growth. 1. Server refreshes – Small businesses tend to lag behind in upgrading technology. There are a number of five to ten year-old servers out in the small business channel running Windows Server 2008/2008 R2, and we are seeing a bit of a refresh cycle for that market. 2. Component and accessory add-ons – Many competitors and peers in the channel focus on selling a lot of inexpensive servers. D&H focuses on selling servers built to last. We sell more memory and hard drives per system than our competitors, on average. We sell upgraded RAID solutions on average far above the channel. We sell remote management modules, encryption modules, premium RAID keys, and other advanced technologies, even on servers for small businesses. All of these items are sold based on the value proposition of each one. The greater market tends to selectively overlook this strategy. 3. More sophisticated server solutions – D&H actively recommends high-availability solutions for our clients, typically two or three servers and an iSCSI or FC SAN. Most of the channel reserves this kind of solution for the mid-market and up, but there are a lot of small businesses who rely heavily on their data and systems being available. Those are the customers we cater to. 4. Focus on new technology – when Intel brings out a new family of technology, we drive that message in the market not only through our Intel customers, but through our HPE and Lenovo DCG customer bases, also. We find that we traditionally get a head-start on selling the latest and greatest by educating our customers on the value proposition and business advantages of moving to a newer technology platform, which tends to bring some server upgrades onto the calendar for D&H and its customers. Any way you slice it, it’s both bold and impressive that D&H can beat the street. It’s niche focus on small business has resulted in extraordinary returns from expertise. D&H is headed towards it’s 100-anniversary and it expects to add a 5% increase in its customer base over the next 18-months. “The distributor foresees significant opportunities for resellers who are looking to expand, as the industry faces a potential SMB back-office refresh cycle, spurred by the latest end-of-service dates for Microsoft Windows Server 2012 solutions.” What it’s referring to is the end of mainstream support on January 9, 2018. You read it here first! HARRISBURG, PA – October 30, 2017 – D&H Distributing, a major provider of SMB and consumer technologies to the North American high-tech channel, is invigorating its linecard for the education vertical with virtual and augmented reality solutions that will usher-in “The Classroom of the Future.” D&H is training its resellers via streaming webcast sessions and VAR engagement events, and through its K-12-dedicated “White Glove” services program which includes amenities such as laser-based product tagging, pre-assembly, configuration, and device management. Efforts include acclimating VARs to a “curriculum-based sales strategy,” which aligns with spring as opposed to the typical fall IT purchasing season, to accommodate the budgeting process for this marketplace. Such will give K-12 decision-makers the necessary lead time to allocate funds to these breathtakingly immersive solutions. In addition to training, D&H is offering preconfigured “Virtual Reality Kits,” or customizable product bundles around the Google Expeditions platform, including VR headsets, routers, cases, tablets, smartphones, monitors, and more. The cutting-edge “Google Expeditions” app allows teachers to immerse students in lessons via stunning, 360-degree photographic environments utilizing a headset/smartphone/tablet combination. For example, students can virtually walk through a factory on the other side of the country, trek the surface of Mars, or immerse themselves in a dinosaur-inhabited, prehistoric landscape. Other products include the HP’s Sprout Pro by G2, an interactive, all-in-one computer that incorporates extraordinarily detailed 3D scanning. Scans can be used with a 3D printer, allowing students to create, color, and manipulate items such as artwork, shop class projects, or engineering designs on-screen, then physically produce those items as dimensional, real-world prototypes. D&H’s latest Solutions Lab webcast, “VAR Curriculum: Tech for the Future of Teaching,” outlines both the HP Sprout Pro G2 all-in-one and the Google Expeditions-compatible solutions, helping VARs to familiarize themselves with these offerings. It also covers D&H’s “White Glove Services” support program for K-12 VARs, which includes amenities such as laser-based product tagging, pre-assembly, configuration, and device management. The session is available for streaming on-demand at dandh.com/solutionslab. In addition, D&H has developed a “K-12 Advisory Group” of resellers in the this vertical, who meet during D&H’s trade events to engage with D&H management and discuss trends and challenges in the field. The group’s feedback has helped to shape the direction of D&H’s K-12 offerings. Demand for items such as 3-D-capable computers, scanners and 3-D printers, plus 360-degree, VR/AR learning platforms is growing in K-12 settings, as educational institutions seek new ways to engage students via cutting-edge, technologically-enhanced environments. Such high-tech solutions have typically been applied toward STEM fields, e.g., science, technology, engineering, and math. This initiative has expanded to include art and design, since educators are finding that students learn better and comprehend concrete concepts such as math and scientific principles more readily when artistic disciplines such as design and graphics are incorporated into that learning process. It has led to the evolving acronym “STEAM,” incorporating “Arts” into the formerly “left-brain” initiative. Accessories including trunk cases, mats, chargers and more from Pelican, Siig, and Startech.com. On the software side, Google apps such as Daydream (which includes tools that manipulate objects within the virtual scene), the Tango 3D simulator, and the WorldSense tracking technology deliver similar virtual experiences. And the forthcoming Google Expeditions AR promises to project a 3D image into a live space such as a classroom, wherein students can walk around the projected image and view it from all sides with compatible hardware. D&H Distributing believes the most important element of doing business is developing relationships for mutual success. The company continues to build upon its 99-year-old culture by providing its manufacturers, co-owners, and partners with the utmost customer care, consultative guidance, and multi-market expertise. As one of North America’s leading technology distributors, it delivers a wealth of enablement resources and hands-on support services that empower resellers in the IT channel. The distributor is headquartered in Harrisburg, PA, in the US and in Brampton, Ontario, in Canada. Additional warehouses are located in Atlanta, GA; Chicago, IL; Fresno, CA; and Vancouver, BC, Canada. Call D&H toll-free at (800) 340-1001, via www.dandh.com, or follow the distributor’s Facebook and Twitter feeds, https://www.facebook.com/DandHDistributing/ and @dandh. Tech distributor D&H Distributing announced today it’s offering new programs, services and training opportunities to support resellers after the recent release of Windows 10. Its support for VARs includes Windows 10-oriented webcasts and seminars, a Windows 10 Partner Services marketing template and support from D&H’s Microsoft experts on its Solutions Team. D&H’s Windows 10 resources are available here. 3D printer manufacturer XYZprinting announced today it partnered with D&H Distributing to expand distribution of its 3D printers and products. Its printers are the most affordable worldwide, according to XYZprinting, as it strives to open the door to 3D accessibility for SMBs and the K-12 and higher education sectors. The XYZprinting 3D printers start at $399, and users can build everything from phone and music player cases to children’s toys. It’s conference time for D&H Distributing in the city of chocolate, Hershey, Pa., as the company prepares for the D&H Mid-Atlantic Summer Technology Show held June 4, 2015. Two of the six educational seminars at the show will focus on SMBs: Cisco will present “Cisco Mega Trends and How They Affect SMB” at 12 p.m., and Dell will present “Dell SMB: Made for Business, Made for You” at 3:15 p.m.
D&H said it expects close to 1,000 resellers to attend the show, with 100 manufacturer partners providing exhibits at the event. Registration begins at 11:30 a.m., seminars start at 12 p.m., the exhibit floor opens at 3 p.m., and the show closes at 8:30 p.m. Registration online is available here. D&H Distributing celebrates the five-year anniversary of its “Go Green” initiative in 2015, as Earth Day marks its 45th year Wednesday, April 22. It sold 46,809,568 ecologically-conservative products between 2010 and 2015, with an increase of more than 7.5 million items ordered year-over-year since April 2014. In addition to increased availability of eco-friendly products, it made headway in recycling and conservation programs, including installing a field of solar panels in one of its Pennsylvania parking locations and the collection of 17 pallets of material for recycling from a June 2014 recycling day event. This past Thursday, I was lucky enough to be the SMB Nation representative at the D&H Distributing Mid-Atlantic Summer Show in Hershey, PA. Although I am not new to the trade show experience, having worked at a few of our own shows as event staff, the exhibitor side was a new view of the event portrait for me. So I am giving my highlights below to you today, as I report from my family’s home in Northern VA. Your weekly round-up of the IT channel news you don’t want to miss. Raleigh, NC-based Red Hat announced its intent to acquire Paris-based cloud services provider eNovance in a cash and stock deal worth 70 million Euros. Founded in 2008, eNovance is one of the largest contributors to the OpenStack community championed by Red Hat. According to the company, the acquisition will add much-needed internal capacity for building and managing OpenStack clouds. Along with a high quality service component that will make it easier for the company to disseminate the open-source technology. Red Hat channel partners will have to wait until after the deal closes and all due diligence is completed for word on whether they will be asked to resell eNovance solutions or if the Red Hat will maintain the managed services component of its newest business unit. Industry research firm Gartner published its first Magic Quadrant for Integrated Systems – solutions that include storage, server and network hardware along with management software from more than one vendor and are referred to by most people in the industry as “converged infrastructure.” Nomenclature aside (analysts are always renaming things), Gartner expects the market for “integrated systems,” which includes single-vendor and multivendor converged infrastructures and hyper-converged infrastructures, to grow more than 50 percent in 2014 to reach $6 billion. Oracle, which develops "engineered systems," combining hardware with a specific application such as a database. Hewlett-Packard, IBM, Dell, Nutanix and SimpliVity all placed in the Visionaries quadrant, while other vendors mentioned in the report include Teradata, Fujitsu, Hitachi Data Systems, Huawei and Unisys. Aliso Viejo, California-based QLogic released the details on its revamped Signature Partner Program. The high performance networking equipment vendor wants to make the channel program easier for partners to use with changes such as reducing the number of tiers from four to three and a lowering of revenue thresholds between the tiers. The new program begins with Preferred, which doesn’t have a revenue obligation. Premier is the next tier, which comes with a requirement for $100,000 in annual revenue and the top level, Elite, requires $500,000 in sales. Under the old program, Silver partners had no revenue target, while Gold partners had to sell $225,000 and Platinum $800,000. QLogic's acquired Brocade's Fibre Channel and converged network adapter business in January, following that up in March with the purchase of Broadcom's 10-, 40- and 100-Gigabit Ethernet businesses giving the company a tight focus on Fibre Channel and Ethernet network connectivity. Avayaannounced a major reorg of the Avaya Connect Channel Partner Programaimed at making it easier for Avaya partners to increase the depth of their technical expertise with Avaya products and to differentiate themselves from competitors based on that expertise. Changes to the program include revisions to the requirements for achieving Silver-, Gold- and Platinum-level status and the introduction of half a dozen new Solution Expert designations. Partners can achieve the new solution experts designations by earning specific credentials in sales and design, meeting revenue thresholds and demonstrating customer satisfaction. Silver-, Gold- and Platinum-status appointment will also be based on the number of Solution Expert designations achieved by the organization. Avaya says the new program, which will take effect October 1st, will have a one year transition period over which partners will be expected to meet the new requirements. It’s no secret that the K-12 education market is exploding for VARs and resellers. New programs like ConnectED have suddenly increased tech spending in the education vertical and solution providers are scrambling to meet the demand. In order to make that easier, Harrisburg, Pa.-based distributor D&H has teamed up with Wells Fargo to provide VARs – and especially smaller VARs – with the ability to make the purchases they need to when they need to to take advantage of the market opportunity. Under the partnership, a special financing program has been created including interest-free financing and extended financing terms for resellers, making it possible for them to compete for the multimillion dollar deals a lot of districts will be tendering. Earlier this week, D&H Distributing announced that it has sold over 39 million Green products since its launch of the “Go Green” campaign in 2010. Company representatives said that although this program was originally meant to foster awareness in the IT Community, and to reduce the company’s carbon footprint, it has taken on a mind of its own. The D&H “Go Green” Program features a special “green” product filter for resellers to use in their searches, as well as a dedicated “Think Green” link on the reseller site menu, which features special offers and facts about D&H’s current green efforts. D&H Distributing recently announced that it has added the Sophos Unified Threat Management (UTM) network security software to its offering list for VARs. This announcement marks another expansion of the two organizations’ three-year partnership. “We see a window here for solution providers to possibly increase revenues through a managed services offering. We will work to provide as much resources as possible to optimize that opportunity for our VARs,” said Jeff Davis, Senior Vice President of Sales, D&H Distributing, in a press release this week. Earlier today, D&H Distributing announced an expansion of its cloud-enabled product portfolio. To be specific, this expansion came in three areas: Cloud Security, Cloud Software and Infrastructure, and Cloud Storage. This announcement is designed to allow D&H resellers to better leverage the increasingly popular cloud-based protocol in their sales departments. Yesterday, D&H Distributing announced a new “Enablement Training Series” for VARs to pass the required Cisco SMB certification exam. This training series will include modules for two types of Cisco VARs, Engineers and Account Managers, and will feature complimentary on-demand training and live Q&A sessions with Cisco System Engineers. In addition, D&H will give up to two free vouchers to its resellers, which will cover the cost of the exam. D&H Distributing today announced the start of a major initiative, titled “Make the Move from XP.” This initiative is driven by the fast-approaching April 2014 deadline for the Windows XP OS, and D&H has built a dedicated landing page with educational sessions, customer information templates, as well as stats and a comparison chart to help MSPs and VARs advise their customers in the move away from XP. D&H Distributing said today that it has joined the Windows XP Migration Million Mile Tour as an official sponsor. The North America tour is bringing together small and medium-sized businesses (SMBs) to learn about the forthcoming April 8, 2014, deadline at which time support for Windows XP will terminate. International Communications Corporation said that it has selected D&H Distributing as the sole channel partner for the launch of its AT&T-branded activeARC converged data networking platform. Designed specifically to help SMBs handle the growing challenges of performance-hungry network enabled applications, the solution simplifies the network into a single control point, making it easier for SMBs to control their data networks even when IT resources are limited. D&H Distributing has been named “Distributor of the Year” by BenQ America Corp., a global DLP projector brand and a provider of monitors and interactive displays and signage. ZyXEL Communications and D&H will now be offering the company's complete family of networking products in both Canada and the United States. D&H will focus on ZyXEL's business-class offerings, including firewalls, switches, and business-class Access Points. With ZyXEL, D&H will offer carrier-grade Ethernet switches that include managed, smart web-managed and unmanaged Fast, Gigabit and 10G Switches. D&H will also distribute ZyXEL's enterprise wireless devices including indoor and outdoor Access Points, WLAN controllers and Wi-Fi Hotspots, as well as ZyXEL's network security products including high-throughput firewall appliances and Unified Threat Management devices. D&H Distributing announced today that it has won Microsoft’s Platinum Level Operational Excellence Award. The company was rewarded for its ability to deliver operational excellence supporting Microsoft technology over the past year. D&H Distributing said that it is offering two new training events to help VARs attain additional skills and grow their businesses. The first event is a new webcast to be held tomorrow at 2 pm EST through the distributor’s Solutions Lab. Entitled “VAR Best Practices – Building Your Business By Doing What’s Right For Your Customers,” this session is at no-cost for D&H resellers. In addition, the distributor is offering a D&H and Lenovo Server Build Session on Tuesday, October 8, to be held at the Tripp Lite Integrated Solutions Center, 111 West 35th Street, Chicago, IL. Welcome to our new “Thought Leadership” series on the Windows XP Migration matter. Between now and Windows XP end-of-service deadline of April 8, 2014 (about 250-days from this writing), we will reach out to leaders in the SMB IT community with the main goal of better understanding the Windows XP migration opportunities (and threats) for all stakeholders involved. This includes you, the SMB IT Pro, who is a reseller, VAR, consultant and geek. Our kick-off article is my recent interview with Dan Schwab, Co-President at well-known North American distributor D&H. Let me just say that I agree with Dan for reasons you’ll see in the next few hundred words. D&H Distributing said that it wants to teach its SMB resellers to take a strategic sales stance, offering a roster of products that can save time, money, energy and physical resources for small business environments. The distributor currently carries a multitude of merchandise that can create efficiencies and decrease total cost of ownership in the SMB office space. This caters to the conservative budgets typically associated with the small business sector. D&H Distributing said today that it is expanding its Solutions Specialist program. D&H’s Solutions Specialist Team is a group of subject-matter experts that are at the disposal of resellers. The team is expanding to provide more dedicated support on particular vertical markets, technologies and vendor solutions. D&H Distributing invites its customers to attend its latest Solutions Lab presentation, “An Introduction to Cisco UCS for SMB,” on June 11 at 2:00 p.m. EDT. During this one-hour webcast, resellers will learn the basics of Cisco’s Unified Computing System servers, including the Cisco C22 and C24 servers for SMB. 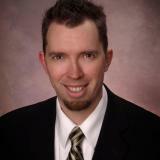 Jeff Hunt, D&H’s resident Cisco sales engineer, will lead the session. It will include a demonstration of a remote OS installation that leverages the Cisco CIMC (Cisco Integrated Management Controller) interface. D&H Distributing has introduced its “Get Authorized” program for resellers, which is designed to reduce the time and labor of the vendor authorization process, of which resellers must go through to buy products that are subject to MAP (minimum advertised pricing), UPP (unilateral pricing policy) and similar authorization restrictions. D&H Distributing reported today that is has experienced more than 8% growth for the 2013 Fiscal Year (ending April 30, 2013), fueled by sales of mobility products. This figure is more than three times the organic growth rate achieved by IT distribution in general over the past year. Tablet sales at D&H have tripled year-over-year, driven by strong showings from Android models in the seven- and 10-inch formats. This year’s overall growth figure adds to D&H’s tally of more than 380 consecutive profitable quarters. D&H Distributing said today that in honor of Earthy Day next week, its “Go Green” ecological programs and policies are still reaping results, including new internal projects that aid in conservation. The company has sold nearly ten million units of green-certified products per year, aggregated across the three years that D&H has been tallying numbers for these products, amounting to 28,449,298 green items sold since 2010. The distributor’s inventory of merchandise that qualifies as “green” has also increased steadily over the years. D&H Distributing will offer a free webcast for its reseller customers throughout North America, this Thursday, March 28, at 2 pm EST. Titled, “D-Link IP Camera Solutions: Profit from Adding IP Surveillance to Every Sale.” The broadcast is free for D&H customers, who can register for and view the event at dandh.com (in the U.S.), or on dandh.ca (for Canadian customers). This is the first D&H webcast to be offered simultaneously to U.S. and Canadian customers. Some things never get old. Attending one of D&H Distributing’s live events is one of those things. Always good food and lectures, the show, held four times per year in different North American cities, just completed it West Coast show in Los Angeles, last Wednesday, March 14. D&H Distributing announced at the XChange Solution Provider event in Orlando, Fla., yesterday, that it has developed a new roster of services designed to enable SMB resellers to profit from a comprehensive suite of cloud solutions. Foremost among these, the distributor has become a strategic distribution partner for Cloud Nation’s innovative cloud solutions platform and community portal, which delivers a comprehensive roster of training, services and technologies needed for SMB resellers to sell and maintain cloud-based infrastructures. D&H Distributing is opening its 2013 trade show schedule with the 11th Annual West Coast Technology Show next week on Thursday, March 14, at the Pacific Palms Resort in Industry Hills, CA. Registration starts at 12:00 noon and seminars run from 1:00 p.m. to 7:00 p.m. The exhibit floor, holding booths from more than 65 D&H vendor partners, will be open from 4:00 p.m. to 9:00 p.m. The distributor expects upwards of 500 VARs in attendance. If you are a D&H VAR that’s wondering what products are hot topics within the distributor’s line card, you’ll then be pleased to know that the distributor introduced today a new “What’s Trending” feature, an online tool which lists the most frequently viewed items on dandh.com, updated several times daily. D&H Distributing announces it is revitalizing its offerings for system builders. The distributor is adding new tools, promotions, products and training vehicles to help independent resellers profit from custom computer designs in a variety of formats. This includes a special February Systems Integrator Focus Month promotion, in which integrators can win a series of American Express Gift cards. D&H customers that purchase $5,000 worth of merchandise this month from among 20 participating Focus Month manufacturers, such as ASUS, APC, Samsung and Western Digital, will be eligible to win one of 16 Amex gift cards worth between $100 and $500. D&H Distributing said it has won a majority of the categories in the 2012 ASCII Group Distribution Survey for the fourth consecutive year. D&H has been named a favorite among broadline distributors every year since the study was first conducted by ASCII in 2009. D&H Distributing said today that because 2013 marks the company’s 95th year in business, the distributor will commemorate the occasion and thank resellers for their patronage with a special Anniversary Promotion during each quarter of 2013. VARs and dealers are automatically entered to win one of the 95 Anniversary prizes by purchasing $1,000 worth of merchandise from D&H Distributing between now and March 31, 2013. The distributor will also continue to offer additional promotions and enhanced rewards in Q1 2013 through existing offerings such as its Incentives Rewards program.